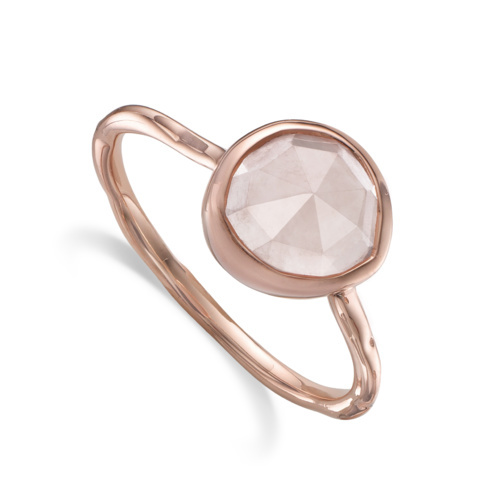 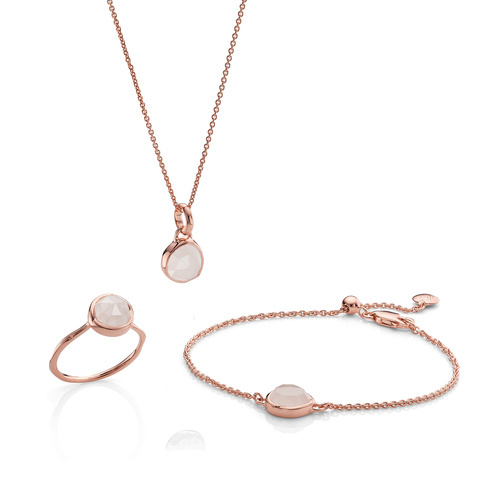 This beautiful mini pendant charm features an organic, irregular shaped multifaceted rose quartz gemstone, bezel set in 18ct Rose Gold Vermeil on Sterling Silver. 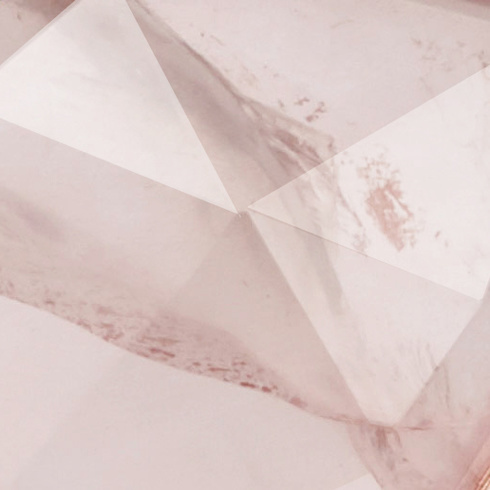 This pendant charm measures approximately 10mm high. 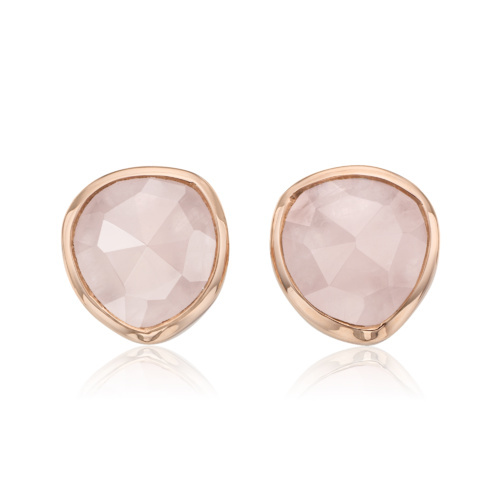 Wear with the rose quartz Siren Stud earrings for a fresh look. 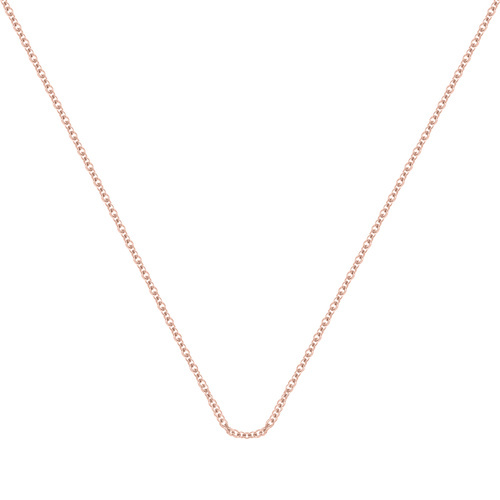 Model is wearing Fine Chain 24'/61cm with adjuster. 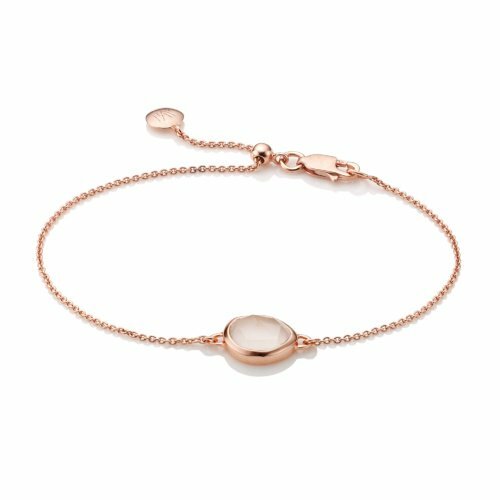 For lovers of soft tones and feminine shapes, this Alta Capture Charm bracelet set is adorned with delicate Riva and Siren pieces, with the blush of rose gold and a subtle sparkle of diamonds set against a neutral gemstone palette.